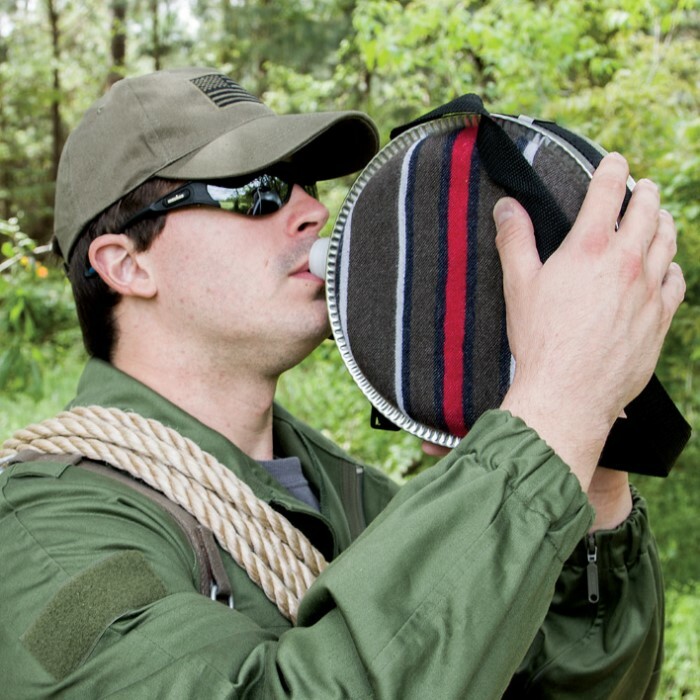 This Canteen is constructed of high impact plastic and insulated with a blanket covering. 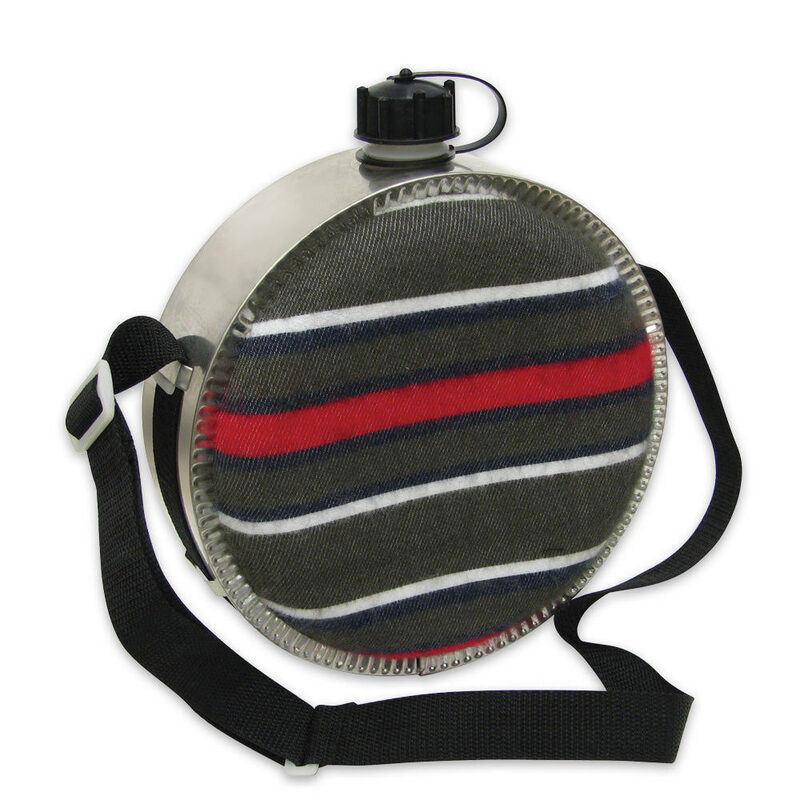 Includes an adjustable nylon web shoulder strap and a screw on cap with a safety strap. Capacity: 4 Quarts. Bought this for my kid for xmas. 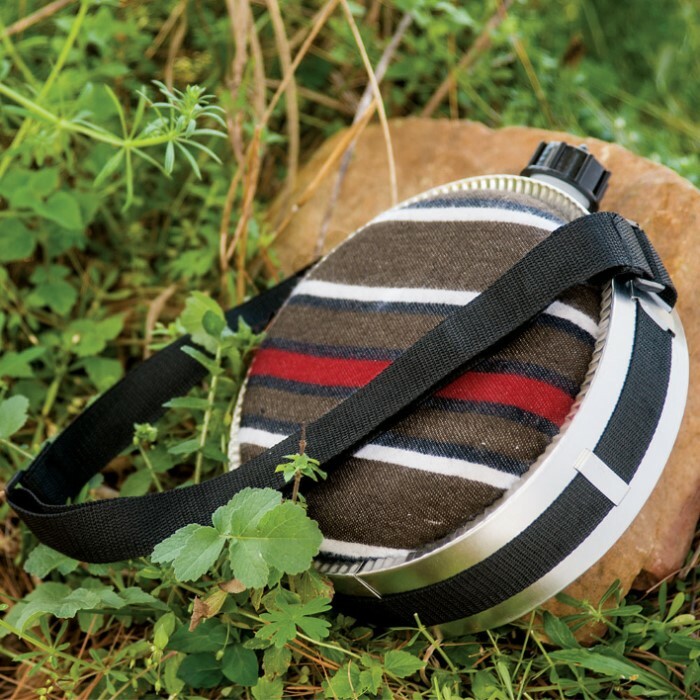 He just took its first camping trip and within an hour, the metal holding the strap broke. Return policy of 15 days didn't cut it.